People who are in the process of organising their property removal would be looking to get it done in the most manageable and affordable way. Many times, it seems like the best way to conduct the relocation is without the assistance of professional movers. Dealing with the removal in such way is not impossible but chances are that some people would be left stranded halfway through the process, having run out of money, or having fallen behind schedule. 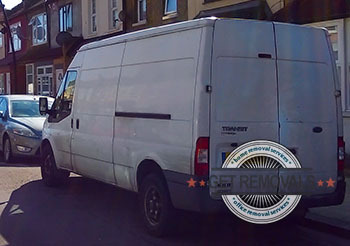 If you don’t see yourself taking part in one such scenario, then why don’t you simply call Removals Crayford and let us deal with the removal effectively, without costing you silly money or making a nuisance of ourselves. We guarantee to keep everything on track, and within budget – we will not run out of steam, or professionalism halfway through the project as that would be totally unacceptable for a well-established moving company such as ourselves. 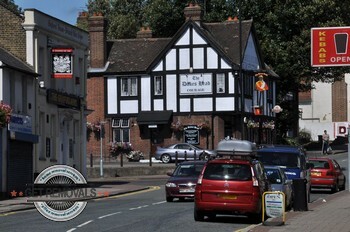 Our Crayford removal team has the technical capacity and expertise to handle all types of domestic removals; most office and business removals; also specialised services like piano or furniture removal, as well as a number of efficient waste collection solutions. Just because Crayford lies on the very fringes of suburban London doesn’t mean the area lacks history or culture. Crayford is one of the oldest inhabited areas of the capital, with signs of habitation dating back to the Iron Age and before. Crayford is believed to be the site of the Noviomagus – the Latin word for new market. During Roman times, a large marketplace was mentioned in the Antoine Itinerary and it is believed that Crayford is the place the records refer to. Historians, also think Crayford was the site of a number of important (and bloody) battles sometime around the fifth century. During the Middle Ages, there were only two manor houses in the district. These were Newbury Manor and Howbury Manor. The other stately homes in the district at the time belonged to important people, such as Lord Mayor of London (at the time).